Havanaa, IL - Feld Motor Sports and the International Hot Rod Association are proud to announce that Midstate Dragway in Havana, Ill., has signed a multiyear sanctioning agreement with the IHRA with plans to incorporate the SummitSuper Series into their strong weekly racing program. 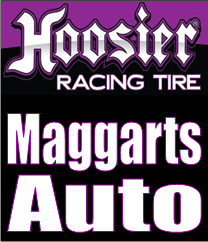 Hendersonville, TN - The season will kick off April 5th and 6th at Gateway International Raceway in Madison, IL., as part of the NHRA Spring Sportsman Challenge XVII National Open. Schedule attached.